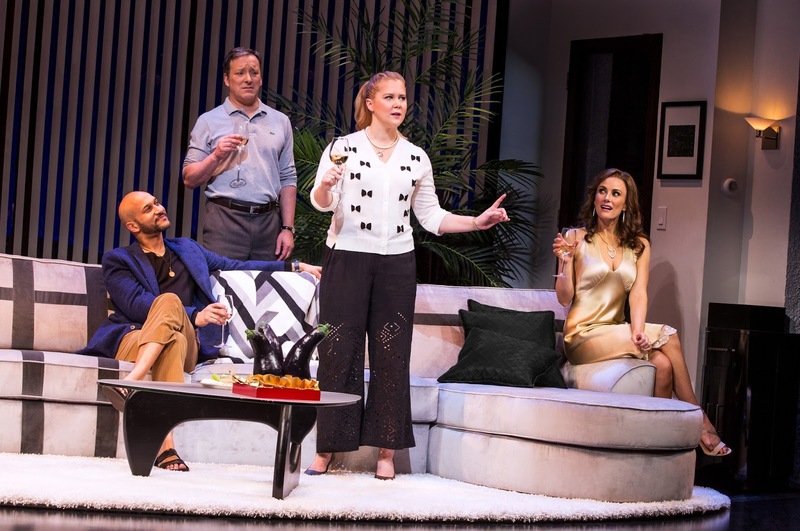 Steve Martin’s first Broadway offering since “Bright Star,” the underrated musical he wrote with Edie Brickell, turns out to be an amusing trifle about an Ojai, California couple, Corky and Norm (Amy Schumer and Jeremy Shamos), who invite an aggressively seductive pair, Laura and Gerald (Laura Benanti and Keegan-Michael Key), for dinner and, in short order, find their placid lives upended. The action takes place in 1993, the year of a spectacular meteor shower, and the guests are ostensibly visting to watch the light show from the former couple’s prime location garden. However, we soon learn the devilish guests are really there to destroy their hosts’ marriage. Each scene change is punctuated by meteor projections against the night sky, adding the requisite beautiful but dangerous frisson to the action. The play had its world premiere at San Diego’s Old Globe Theatre, and a later production at the Long Wharf Theatre in New Haven, CT.
Schumer is highly amusing, likable and confident in her Broadway debut and there’s a first-rate ensemble around her including Shamos’ increasingly discomfited husband; Benanti’s hilarious sexpot temptress; and Key’s macho male. Martin’s dialogue is quirkily amusing, and he has a couple of neat absurdist twists up his sleeve during this 90-minute intermission-less evening. 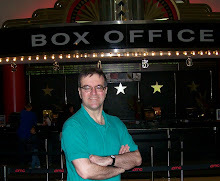 Director Jerry Zaks knows his way around farce and keep things moving entertainingly. Though the work is wafer-thin, the laughs are consistent. Beowulf Boritt’s stylish 1990s abode -- chic living room and back of house vista -- Ann Roth’s costumes, Natasha Katz’s lighting, and Fitz Patton’s sound add up to a satisfyingly slick overall production. Photo by Michael Murphy: Keegan-Michael Key, Jeremy Shamos, Amy Schumer, and Laura Benanti.